The real horror story is how poorly he's taught in schools. 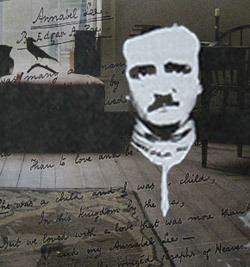 2009 marks the bicentennial of Edgar Allan Poe, arguably the most famed and influential writer in American history. Not only does his work entirely limn the culture, but he also created no fewer than two genres of popular fiction — mystery and modern horror — almost single-handedly. Virtually anyone in the U.S. can recite his poetry (a few lines here and there, at least). His personal life and ambitions inform the clichés of the starving writer in his garret and that of the mad genius. And it’s nigh impossible for someone to graduate from an American high school without having read him. Poe was also a player of hoaxes, a plagiarist, had a substance abuse problem, and couldn’t keep a roof over his head. Poe was a proponent of slavery, the worst sort of would-be social climber, and married a 13-year-old girl in his cousin Virginia Clemm. None of this information is new, of course — these fun facts are probably the answers to a fill-in-the-blank quiz given each year in some sixth-grade classroom in Ohio. The problem is that Poe has been so completely taught that he is very rarely read with the eyes of a reader. Unlike Hawthorne, with whom he is often paired in criticism and in those awful “language arts” classes, Poe had little interest in portraying a true-to-life America or plumbing our historical discontents. Many of his stories take place in a world either fancifully sketched out or left purposefully ambiguous. In stories such as “The Tell-Tale Heart,” the confession the narrator gives in order to prove his sanity occurs in a functional vacuum. The settings of “The Pit and the Pendulum,“ “The Cask of Amontillado,” “The Man of the Crowd,” and “The Murders in the Rue Morgue” could be identified as Spain, Venice, London, and Paris, but the locations are more like panoramas made from magazine clippings than they are representations of the actual places. 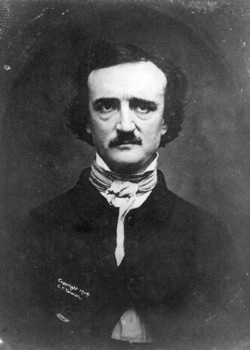 Poe even moved American stories, such as the true crime of the murder of Mary Rogers in Hoboken, New Jersey, to an explicitly parallel universe in which the murder finds its double in Paris: In “The Mystery of Marie Rogêt,” the Seine spells the Hudson River, and the Paris of the story is rather oddly New Jersey-shaped. We stand upon the brink of a precipice. We peer into the abyss — we grow sick and dizzy. Our first impulse is to shrink away from the danger. Unaccountably we remain… it is but a thought, although a fearful one, and one which chills the very marrow of our bones with the fierceness of the delight of its horror. It is merely the idea of what would be our sensations during the sweeping precipitancy of a fall from such a height… for this very cause do we now the most vividly desire it. Poe was one of the first authors of modern horror in that he was not interested in resolving the social trespasses his work depicted with pat morally correct endings or appeals to cosmic justice. In this way, he was also one of the only modern purveyors of dark fiction. The bloodiest slasher flicks often betray a Puritanical ideology, with only the virginal characters allowed to survive. Gangsta rappers love their mamas and write songs about them. Noir writers made sure their sleuths had a code of ethical conduct, even if it only consisted of a single line they would not cross but that the baddies they hunted would. Stephen King’s novels summon up dark miracles that threaten families, towns, and occasionally civilization itself, but these evils are put down more often than not thanks to the power of friendship. Poe’s an acquired taste. Then there is the detective story, which Poe invented. He only wrote three Dupin mysteries, and undermined the genre nearly after creating it. Everyone knows of the murderous orangutan and the letter hiding in plain sight, but few people read “The Mystery of Marie Rogêt” today because the ending doesn’t satisfy: Dupin doesn’t solve the case — he only draws the conclusion that the murderer acted alone. A rewritten draft suggests that a botched abortion did the poor girl in. In both versions, the rational Dupin throws up his hands; the supernatural overwhelms the rational, and the chasm between the two can never be navigated. Imagine Sherlock Holmes shrugging his shoulders after two adventures and turning to the oblivion of drugs forever. Despite his occasional runs at the big-time during his life, Poe was often his own best market. 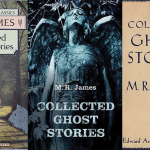 He launched the mystery genre with “Rue Morgue” while an editor at Graham’s Magazine; it’s easy enough to get published when you’re in the office a few days a week. When his work didn’t get the attention he thought it deserved, Poe would often review it himself, either using a pseudonym or leaving off a byline completely. These reviews were among the few positive ones Poe ever wrote — he was a legendary scrapper and hatchet man, and eager to punch above his weight class by taking on Longfellow. Today Poe would be a blogger with a handful of publications in saddle-stitched rags and the occasional Webzine. Amoral fiction is relegated to the underground these days. Poe’s genius simply happened to resonate with the historical moment in which he wrote, those decades when urbanism bred unparalleled crime and intimate violence (and an endless appetite for texts about the same); this is what saved him from obscurity. Given Poe’s disinterest in the popular pastime of auctorial finger-wagging at an audience eager for moral blandishments and the endless censorious tangles in American schools and library systems, it is at first blush amazing that Poe hasn’t been targeted more often than he has. Poe’s work certainly hasn’t been censored as often as Huckleberry Finn. Ultimately, though, there is simply no need for a moral panic over Poe. The teaching is enough to defang the author. When he first immigrated to the United States in the 1940s, comedian and spoken word performer Brother Theodore gave dramatic recitals of Poe’s poetry and stories, only to discover that he was playing to mostly empty houses. Few people wanted to sit through more Poe as they’d already gotten their fill thanks to tedious English teachers. Students will research information and discuss their thoughts on whether Edgar Allen [sic!] Poe died from Alcoholism or Rabies. [capital letters sic] Students must include a minimum of three posts with thoughts and ideas that are supported and linked to website resources. At least one post must be your informed position on the discussion topic and at least one of your posts must be to refute another classmate’s stance based on a post that they contributed to the discussion topic. In a better world, grade-schoolers would be excited to argue over alcoholism or rabies all night long, but the bright kids must have trouble taking seriously an assignment with the author’s name misspelled, the ridiculous demand for “thoughts and ideas” in a Web post, and the notion that Poe’s death was the result of one of only two possible causes. The average student will just resent having to look stuff up. 4. You see a couple that is covered from head-to-toe with tattoos and piercings. What is your opinion of that couple as people? a. Not enough information to make that kind of judgment. b. They must have some issues, and this I know for sure! c. They are complete idiots who like to abuse themselves, are probably involved in illegal behavior, and are stupid. How can we read Poe today? Even those who heroically managed to resist schooling well enough to find pleasure in reading have to search through two centuries of baggage to find the real Poe. He is everywhere — on The Simpsons and The Gilmore Girls, in the National Football League, and if the industry gossip is true, in a script by Sylvester Stallone which the actor is also planning to direct. “Nevermore!” isn’t a coda — it’s a punchline. Then there are the well-known facts of his life, and the dubious results of biocriticism. Every pale girl is Poe’s wife, or his young mother who died when the author was a child. Every fever is delirium tremens or rabies, just like Ms. C Kelly suggested. Poe also left us without unforgettable, well-rendered characters of the sort readers of contemporary realism have been trained to see as the apex of quality literature. There is a profound difference between what appears to be and what is; and if you believe otherwise, the Gothicist has a surprise for you. The strained, sunny smile of the Enlightenment — “All that is, is holy;” “Man is a rational being” — is confronted by the Gothicist, who, quite frankly, considering the history and prehistory of our species, knows better. Oates mentions history and alludes to the widely held suspicion that the history of humanity is one limned with evil. But what perpetuates evil but the normalization of evil, the transformation of it into the banal? Poe’s triumph is that he portrayed evil without finally blinking and cobbling together some minor moral triumph or life lesson at the end of his tales. His stuff is the scream of the Gothicist still echoing throughout our culture. But we can’t live with his reminders 24 hours a day; hell, we can’t live with his reminders across the course of a grade school language arts “unit” on Poe, so we do our best to protect ourselves with banality. Perhaps it’s no surprise that kids shoot up a school when the tolerance quizzes don’t have the desired positive effect on interpersonal relations in the classroom. After all, ain’t we evil monkeys, far worse than an orang with a razor? And no, not all of us are. But enough of us are, and Poe’s fiction lets us live in their heads for a little while. 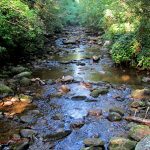 Live there and like it.